Sometimes we get so caught up in our external negotiations that we forget about what it’s like to negotiate and create alignment internally within our organizations. David Hearn is known for creating alignment internally and explaining the need for good emotional intelligence, and the development of empathy to create that alignment. It’s so, so important. but for whatever reason, we forget about it. 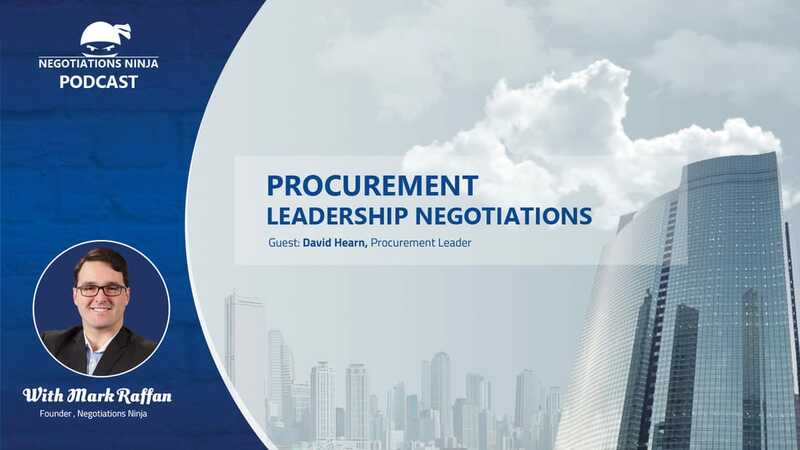 So how do procurement leaders negotiate internally?